To improve the boat performance, choosing the correct boat propeller is an important decision. The right boat propeller and style of prop will keep the engine operating at the optimum RPM range for maximum horsepower on the water. 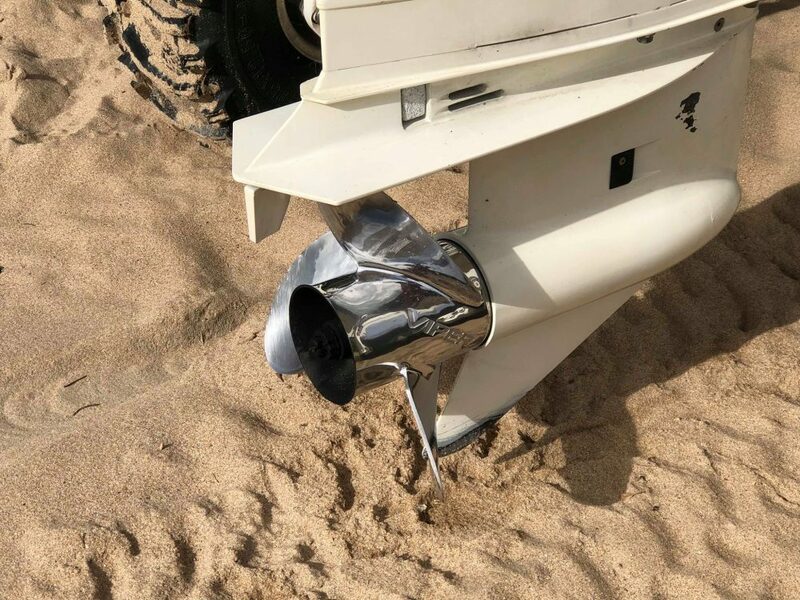 The best boat propeller is the Turning Point Hustler Aluminum, which will improve handling and boat lift to increase the overall performance of your boat on the waters. It is important to note that with many propellers, you will need to purchase a hub system for the replacement propeller. However, it is a worthwhile process as a propeller can transform your boat for more performance. You should choose a top rated boat propeller that is similar to the diameter and pitch of your current boat prop unless your current prop is unsatisfactory. Simply switching materials i.e. change to stainless steel or using a 4 blade instead of a 3 blade prop can see big performance gains on the waters. 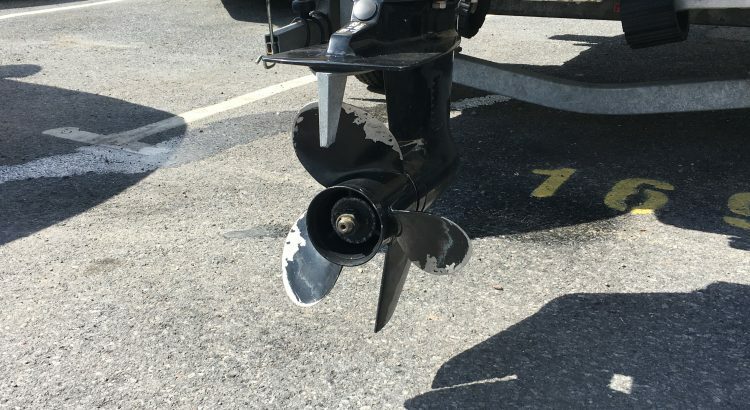 Not all propellers are the same because the size, number of blades and materials all make a difference to the way the boat handles and performs. 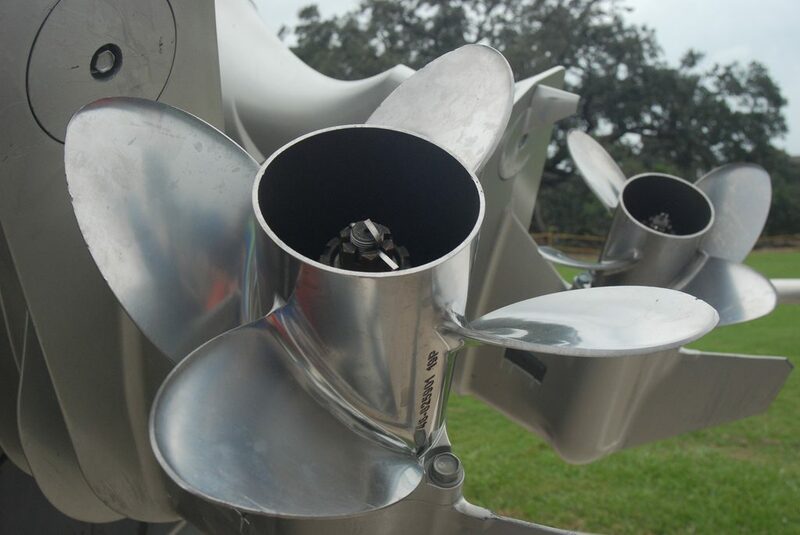 Optimizing your boats performance with the right propeller is one of the easiest modifications. Below is a list of the best boat propellers to improve your boats performance with different sizes, materials and blades. The 4 blade aluminum propeller by Turning Point comes in a range of sizes in order to be compatible with a range of boats. An additional hub kit will be required for installation of this propeller but the end result is guaranteed performance compared to OEM and other aftermarket propellers. With the added blade, you will notice an improvement in handling and take off speeds, which is great for those using inflatable towable tubes on the waters. If you are currently using a 3 blade propeller and looking to upgrade for more speed and less fuel consumption, this is the one for you. It is the best boat propeller for more speed on the waters and is relatively reasonably priced. For those wanting the best performance and are not on a tight budget, Turning Point also offer a stainless steel 4 blade propeller. It is made from 15-5 stainless steel that gets harder and stronger with age for long lasting use. This stainless steel boat propeller is tuned for performance with progressive pitch angles, aggressive rake and cupping, tuned vents and more. This results in increased performance and fuel economy whilst minimizing slip. Converting to the best stainless steel boat propeller such as the Turning Point will be a big improvement on the majority of boats. It is not cheap by any means but adding maximum performance to boat will require a large budget. The Quicksilver Nemesis is a premium 4 blade aluminum propeller with the holding and acceleration of a 3 blade. It is available in a large selection of diameters and pitches to be compatible with the majority of outboard motors. The smaller diameter of the Quicksilver Nemesis allows the propeller to spin up quicker for an increased acceleration. For those with a 3 blade already, simply replace with the nemesis that has the same pitch as your current propeller. Overall, it is the best boat propeller that focuses on adding much needed performance to your boat. Quicksilver claim to provide 16% to 25% faster acceleration by switching from an OEM to the Nemesis. Mercury is a reputable boating brand known for high quality products and the Max 3 Propeller is made using die-cast aluminum and equipped with the Flo-Torq II hub system. It is a 3 blade design designed to fit Mercury/Mariner and other outboards. For those looking for a direct replacement that adds more performance and its great value for money, the Max Blade 3 is the best buy. It comes with the hub system and of course the propeller, which can all be installed in less than a hour. Overall, it is the best 3 blade propeller for outboard motors and the aluminum is finished in an attractive phantom black to add to the premium look and feel. The Machette III by MotorGuide is a propeller for trolling motors that is ideal for shallow waters and weeds. The design means there is less power compared to the others but compared to many other trolling propellers, it is speedy and efficient. It is a 3.5 inch hub with a tapered hub design that performs well on 12, 24 and 36 volt motors. The package comes with a prop, prop pin and prop nut ready to install the propeller in a matter of minutes. Overall, the MotorGuide Machette III is the best trolling motor propeller, which has excellent cutting abilities through weeds and works great in shallow water..
A brand new boat propeller can work wonders for improving your boats performance in terms of acceleration and handling but also fuel economy. To cut through the waves more easily and without slipping all improves the efficiency and get the maximum from the outboard motor. Propeller blades come in a range of designs, material constructions, number of blades and other factors. Choosing the correct propeller that will make use of all the performance your outboard motor has is critical. Below are some factors you should consider before purchasing one of the recommended propellers above. The prop size is determined by the diameter and pitch where the smaller diameter props are associated with the smaller outboard motors and vice versa. The pitch is the forward movement of a boat propeller during one complete RPM. In terms of the pitch, if you have a lower pitch, it will have an increase in acceleration and pulling power whereas a higher pitch will go much faster. However, in a higher pitch, the engine must have enough power to keep the RPM range at the optimum range. In general, the most common number of blades is 2, 3 and 4 with 2 blades only really associated with trolling motors. 3 and 4 blades are usually interchangeable and have there own advantages. The most common material used in the majority of boats are composite, aluminium and stainless steel. Composite are the least expensive and offer good performance but once they are damaged, its near impossible to repair. Aluminum is the most popular as its a great all rounder and suit a wide of applications with a large array of designs. Stainless steel is the best material for propellers as it offers the best in terms of performance and durability but it is the most expensive material used in the construction of propellers. Upgrading your propeller is the perfect way to optimize your performance but it can’t also do more harm than good if you choose the wrong one. As a rule of thumb, try to keep to a similar pitch as your OEM setup but improve the propeller material or number of blades for quick wins in terms of performance.